We've seen tea lights, sparklers and donut walls, but the latest throwback trend is a firm childhood favorite — bubbles! But how can you use bubbles to create an ethereal and fun touch, rather than just a cheesy nostalgic wave to your youth? Perhaps our favorite, swap bubbles for confetti to celebrate your newly married status. Put a basket of individual bubble pots in the doorway of your ceremony and give your guests a sign. 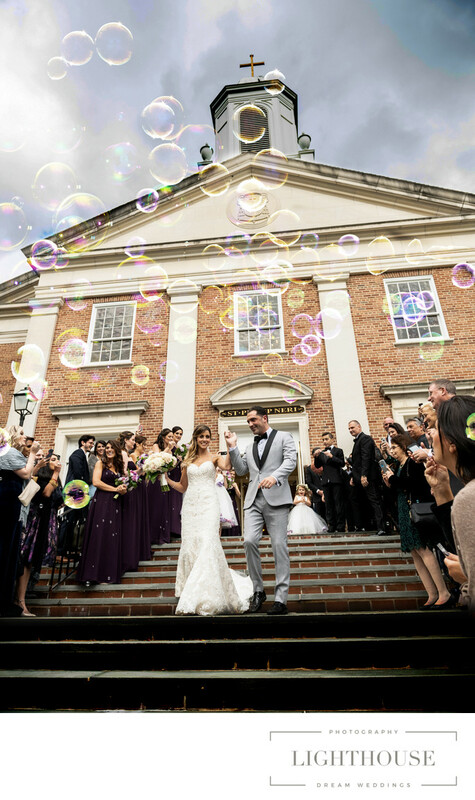 Make sure your wedding photographers are aware of your plans so that they can help you and your partner organize some magical shots as you leave a host of bubbles. This works best when you emerge from a building in the open air, of course. If you do this with an enclosed building, make sure that you check with the venue in advance of the day to make sure they are happy. Having pots of bubbles to hand for the reception and speeches is a fab way of letting your guests engage with you on the day. 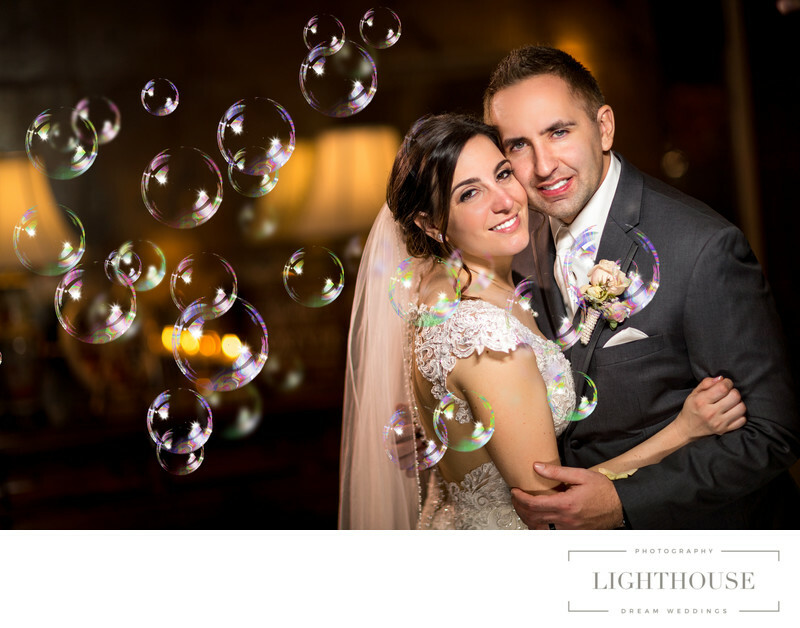 We've heard of writing bubble blowing into part of their speeches, to signify a particular moment which can again be a great photography opportunity. By having bubbles around the place, you'll also help keep those younger guests amused. Your pair of portraits will be a key part of the day before or after the ceremony (or every time!). This is an opportunity where you and your partner usually get a few minutes off the busy day to take some shots and enjoy your first few moments as a married couple. With some simple accessories you can create moments that you can enjoy from time to time, frozen in your wedding album. Bubble blowing can be a beautiful, simple, intimate frame— one that gives your childhood a sentimental nod.